(Havre Herald) A blanket of snow fell while Montana’s Hi-Line slept. 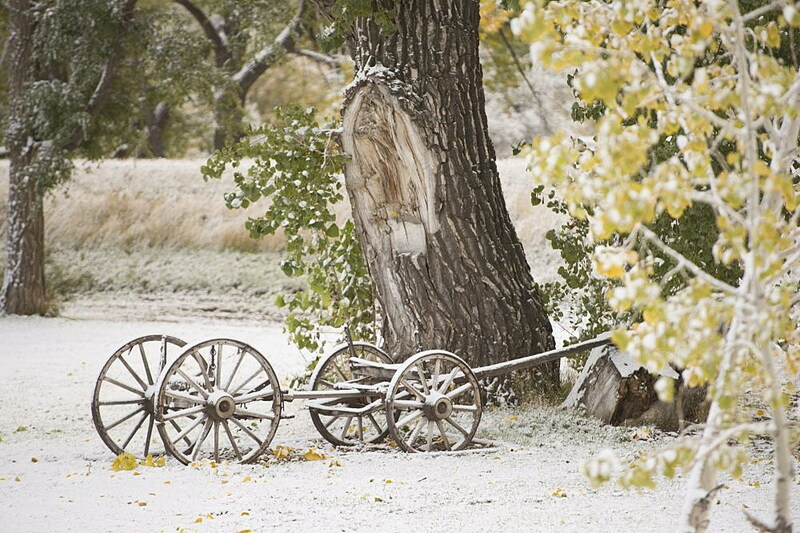 Snow is no stranger to north-central Montana, especially since last winter, when a record-breaking snowfall landed Havre a mention on the Weather Channel. On Oct. 2, 2017, snow began falling, and it kept falling into the next day, until branches on trees collapsed, power lines were brought down, and the police advised everyone to stay off the streets. Many all over the Hi-Line lost power for days. The key component in the wreckage was leaves. The leaves on trees had not fallen. They collected snow, thus weight, and branches collapsed under the weight. Havre turned into a disaster area as broken limbs landed in yards, on houses and in streets. 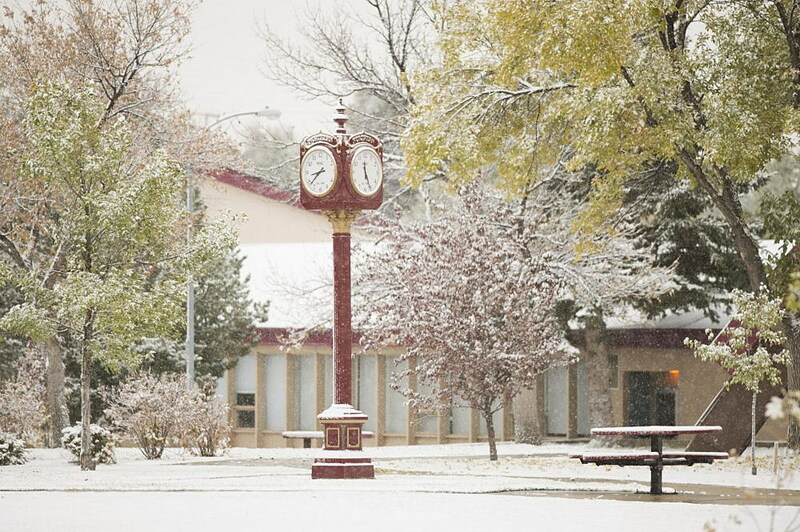 On Wednesday, the snow was falling gently, benignly, in Havre and Rocky Boy. The Bear Paws already got a dusting Saturday. But temperatures are predicted to stay above freezing all week, leaving little chance the flakes will stick around.